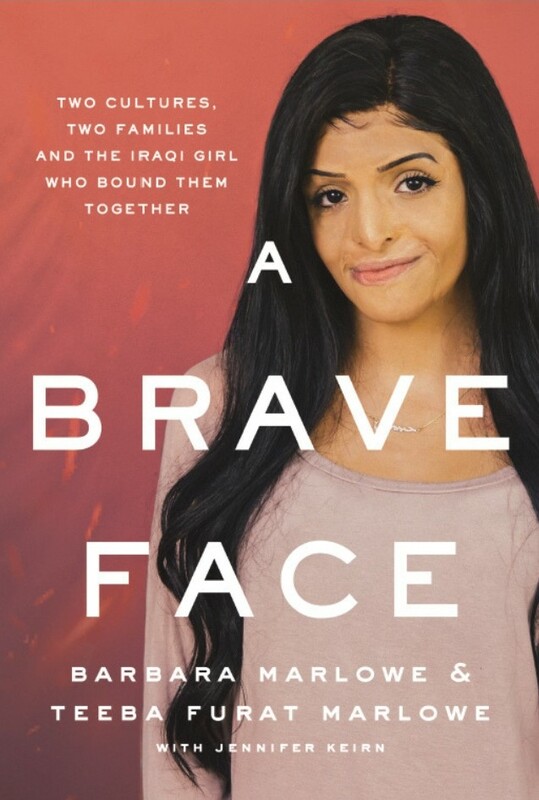 The Lakeland Community College Center for International Education and the Lakeland Library are teaming up for a presentation and book signing of “A Brave Face: Two Cultures, Two Families, and the Iraqi Girl Who Bound Them Together” on Tuesday, April 23rd from 7:00 p.m. – 8:30 p.m. in the Lakeland Library. The library is located on the third floor of the C-Building, Room C-3051, on the college’s campus at 7700 Clocktower Drive, Kirtland, 44094. The book, written by Barbara Marlowe and Teeba Furat Marlow with Jennifer Keirn, chronicles the journey of Teeba. At the age of four, she was badly burned in an Iraqi roadside bombing. An American woman, who after seeing the haunting photo of the child in the newspaper, brought her to the United States for medical care. It’s a story of hope and perseverance that found a little girl gaining two families, both in the U.S. and Iraq, and how they joined together to reach across cultures and continents to support her through multiple surgeries and healing. Today, that tiny, frightened child is a 17-year-old high school student at Gilmour Academy who aspires to be a doctor specializing in either pediatric anesthesiology or obstetrics. The presentation is free and open to the public. Proceeds from the sale of the book go to Teeba’s college fund for medical school and to her family in Iraq. For more information about the presentation, contact Lakeland Professor Thomas Hyland at 440.525.7066. Book cover photo provided by/courtesy of Barbara Marlowe.